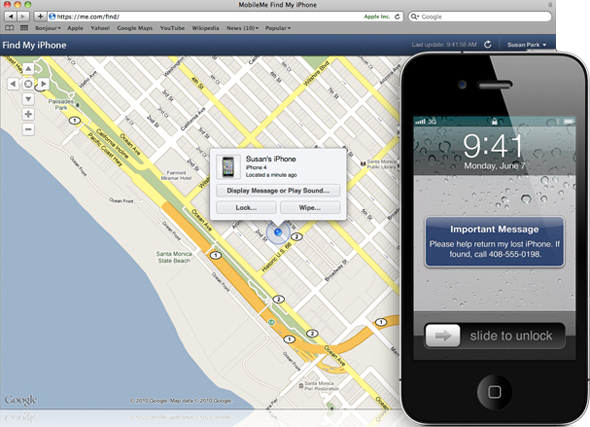 Back in 2009, Apple introduced a feature known as ‘Find My iPhone’, part of the short-lived online services suite MobileMe. This feature allows any iPhone to be located remotely, locked and even wiped in case of theft, yet it can also be used to locate missing people, as proven by a strange turn of events during a recent tragedy in Chile. If you have been following the news, you are likely aware that a military plane crashed in Chile last week, killing all 21 passengers, just before losing all radio contact. Currently, the exact location of the plane has not been determined, yet a piece of Apple gear might be just what the Navy needs to locate the crashed plane. Since one of the passengers on board happened to own an iPhone, it will be possible to determine where the phone was before it completely lost signal, hopefully not long before it plunged into the ocean. While the plane’s location won’t be made public until tomorrow, it has allegedly been detected, all using ‘Find My iPhone’ and the now sunk device’s GPS chip. While the iPhone is now likely too wet to broadcast its current location, it could accurately pinpoint where the plane was when it crashed. Then, rescue teams can be sent to an approximate location and hopefully recover all 21 bodies. ‘Find My iPhone’ is a feature built into iOS 4.2 and above that makes the lives of absentminded iPhone owners a lot easier. Using the device’s GPS hardware, ‘Find My iPhone’ enables all users to remotely locate a lost or stolen iPhone, display a message asking for it to be returned to its rightful owner, remotely impose a lockscreen code in order to stop ill-intentioned thieves from accessing any personal information, or even remotely wipe all of the device’s settings and data, restoring it to factory settings. All these features are accessible from the web , as well as a dedicated iOS app. This feature is allowed free of charge to all iPhone 4 owners by simply registering the device with their personal Apple ID. We wish the best of luck to the families of all the victims enduring this tragedy. Yet, it’s nice to see a not-so-well-known Apple service be used for a really good cause.